Sergey is a captain in the third generation. His grandfather was the captain who handled a ships, belonging to a state farm named “Progress”. In spite of the fact, that Sergey’s father is 63 years old, he continues to hold a captain rank, whose length of service is more than 40 years. 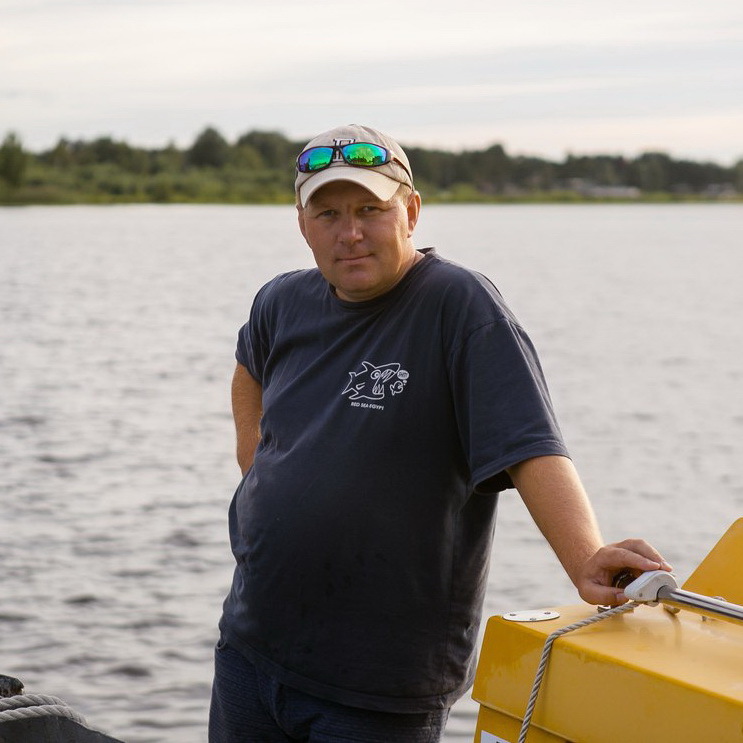 Sergey grew up near the shores of lake Onega and that’s why from a young age he was involved in the atmosphere, associated with ship handling. Along with it, he was able to adopt practices concerning traditions and seamanship from his father and grandfather. Moreover, he learned to understand the nature as well as distinctive features and character of Onega Lake. In 2001 Sergey graduated from the Petrozavodsk maritime academy and gained a master’s license. Sergey’s work experience as a navigator is more than 17 years. At the age of 22, he already occupied a captain position and walked along Lake Onega, the Svir River, the White Sea – Baltic Sea Canal. Since 2005 he worked in the open spaces of the seas and oceans as well as navigated ships the length of which was up to 150 meters. He worked in the ports of different countries of Europe, South America, Australia, Papua, New Guinea, North and South Africa. Sergey crossed the Mediterranean, the Barents, the Baltic, the North, the Aegean, the Ionian and the Adriatic seas. Moreover, he repeatedly crossed the equator. Captain profession for Sergey is not just a work, but it also all his life.Our captain is a master of his craft!